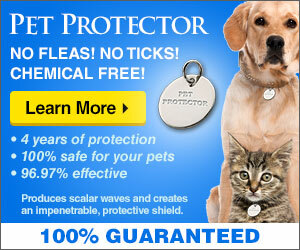 Pets are being poisoned by flea products! Pet Protector saves their lives. Please Take The Time To Read This Important Page. It Could Save Your Pets’ Life. 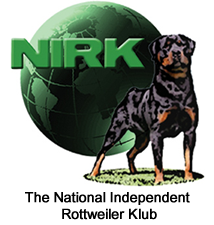 We never skimp on nutrition with our Rottweilers. Never. Note: In order to participate in our five-year limited lifetime puppy replacement guarantee, we ask our customers to purchase Life’s Abundance pet food through our website. By clicking on the life’s Abundance link and ordering. We love our dogs. And people who love and care for their dogs will naturally want to feed what is best. We believe the extra money we spend is a long-term investment in our dog’s health. Why would we buy a cheaper dog food, and think we are saving a few bucks, when we know there is honestly a better food available? Choosing the right food requires little effort. Isn’t it the least we could do for the pet we love and care about? Think about it this way. You’re driving down Main Street and your car needs gas. You see a gas station offering unleaded for $.50 a gallon, so you stop and refuel. (At that price, who wouldn’t, right?) But then, when you get to the pump, you read the label on the handle that says, “WARNING. This gas may ruin your engine.” What would you do then? Most likely, since you care about your investment, you would get back in your car and find the next station, the one with the quality fuel. Many people see a cute commercial or flashy bag and ignore labels. Or if they read the labels, they aren’t sure what ingredients their dog should/should not have and feed the cheaper, more commercialized food when, for as little as a $1.50 a day (for a 100# dog), they could keep their pets healthy and improve their pet’s health and longevity. Many pet foods are filled with over processed cheap fillers, chemicals, and other low quality ingredients from the USA and overseas. We encourage you to do your own research and find out for yourself some of the repercussions of buying a less quality dog food. 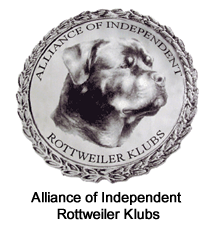 We offer a five-year limited puppy replacement guarantee on any puppy we sell to our customers who agree to feed Life’s Abundance pet food to their Rottweiler. 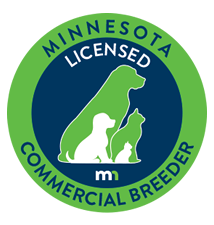 If you are willing to feed a high quality food from a company that truly cares about pets (and has never had a recall—ever), then we are willing give a longer guarantee for your puppy. Note: In order to participate in our five-year limited lifetime puppy replacement guarantee, we ask our customers to purchase Life’s Abundance pet food through our website. 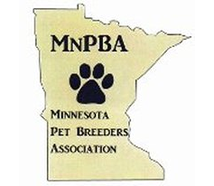 As a breeder, we have heard it all from sales reps selling pet food. But when our kennel switched to Life’s Abundance, we noticed a big difference in our dogs after about five weeks. Life’s Abundance actually makes food in small batches every week. The food is delivered to the customer generally within 4-6 weeks of being made. We noticed how our dogs had more energy and nicer coats with less shedding. Our dogs would get fuller faster and eat less because the food is packed with nutrients. Our kennel had less poop, and therefore, less flies and less clean up. We hope you will try Life’s Abundance pet food. Not only will you see a difference in your dog and home, you will see a difference in how much you spend on dog food. It is honestly almost too good to be true. Life’s Abundance pet food lives up to the high standards we personally set for our kennel. We are proud to be affiliated with Life’s Abundance pet food. All of Life’s Abundance pet food was formulated by Dr. Jane Bicks, a holistic veterinarian who has devoted her life to nutrition. She has won three Presidential Citations, written four books, and appeared on numerous TV shows. She opened the largest animal rescue shelter in America.